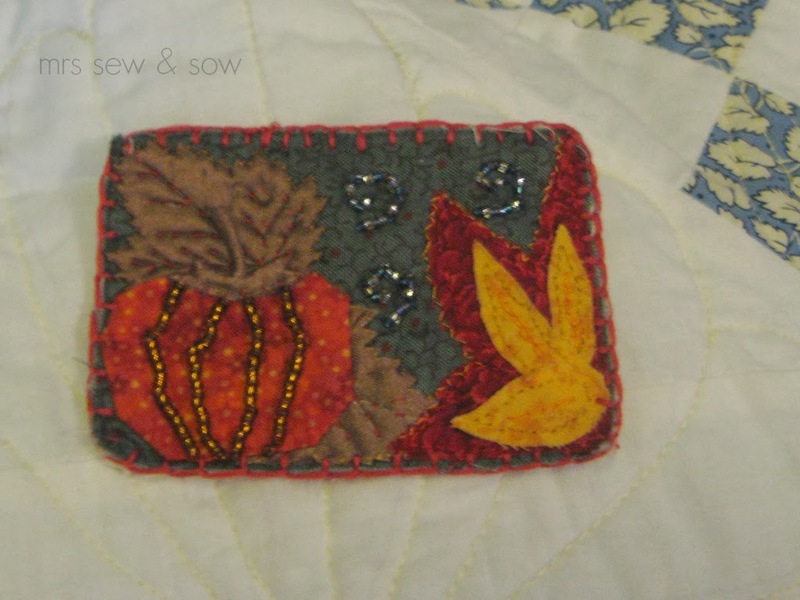 mrs sew & sow: The Very Berry Handmade ATC (Artist Trading Card) Swap! The Very Berry Handmade ATC (Artist Trading Card) Swap! Last time I swapped an ATC I had fun and this time has been no different. It is a quilt in extreme miniature - beyond mini quilt status! And today I finished the stitching - I hope my subject matter is more obvious now! And I also hope my partner likes it as otherwise my eldest daughter has taken quite a fancy to it! Just got to finish it off into a card shape, sign and send it! And this is the pumpkin filled one I received from Dawn, called Autumn Festival! 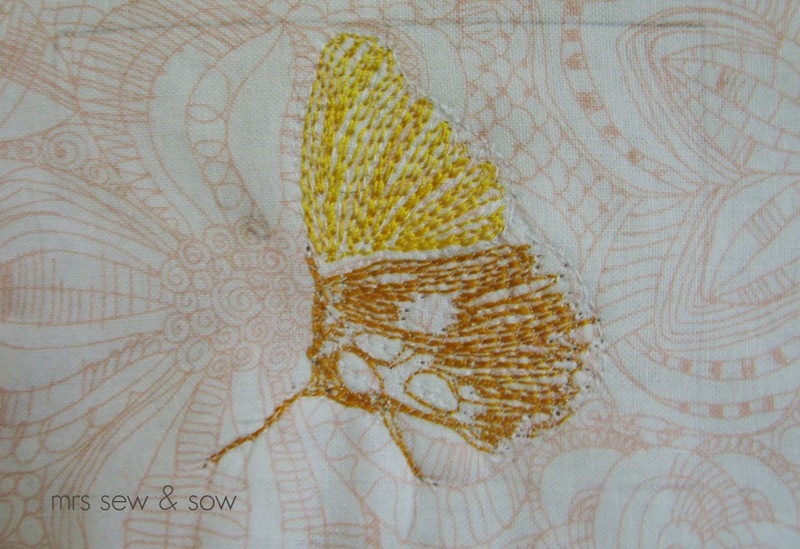 I can see she has put a lot of work into it with handstitching, beads, applique and colour! Thank you so much Dawn for such a splendid reminder of everything Autumn! And thanks Ali for getting us all going in your wonderful Very Berry Handmade ATC Swap! I am sure there will be other rounds when even you can join in! 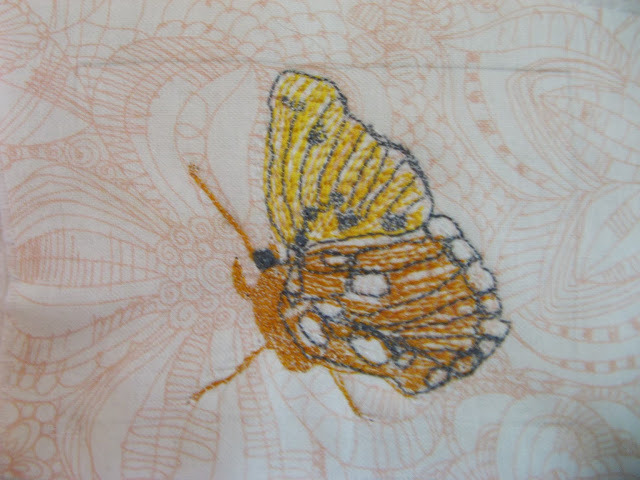 Your butterfly is brilliant! Your partner will be so pleased to receive it. Did you see that your pic has made it on to Flickr Explore! Hooray!